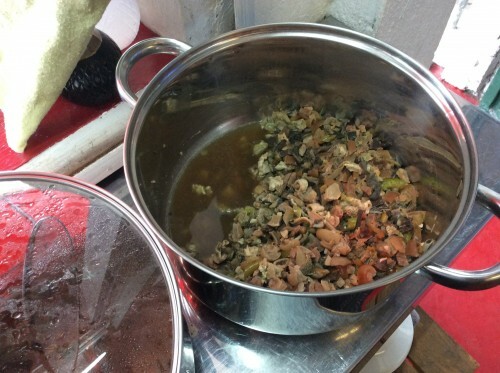 Me and my friends tried 5 of their flagship dishes, and out of the 5, my favorites were the Papaitan and Kilawing Kambing. Their Sinampalukang Kambing is also a succulent and mouthwatering dish, but I love the first two that I mentioned above. Their Adobo dish is also a yummy, but their Kaldereta is just OK. Yep, just OK. I’ve tasted other Kalderatas somewhere in the Metro that is better than there version of Kaldereta. 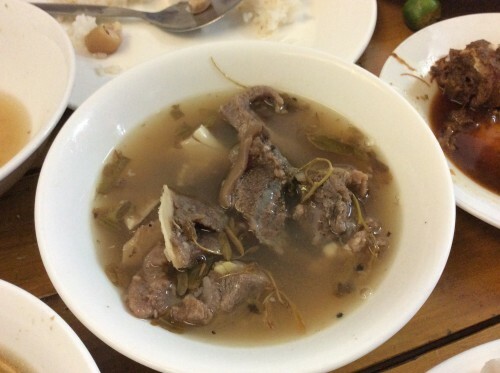 Anyway, if you’re craving for goat meat and you live near Navotas, then you must try Kambingan ni Mang Ben! Each order costs 90 pesos and it’s good for 2 persons. The serving is just enough for your tummy to get full. Kambingan ni Mang Ben is located along M.Naval street near the corner of Alpha street in Navotas, Metro Manila. They are open from 10:30 AM to 8:30 PM Monday to Saturday.I’m not sure if they are open during Sundays, but I think they are. You can visit their Google+ page here to know more. 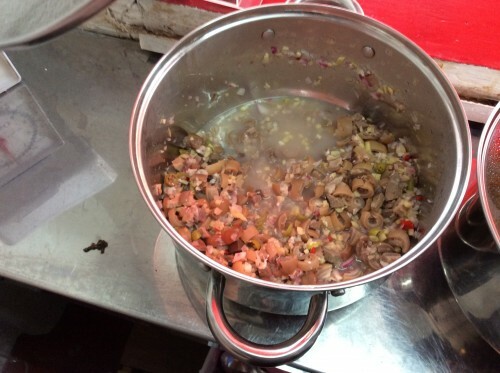 This entry was posted by Leslie Anne Go, who has written 8 posts as leslie, on Thursday, August 20th, 2015 at 6:29 pm and was filed under Fast Food. Tried it and I loved it! Nice article. Love eating kambing. 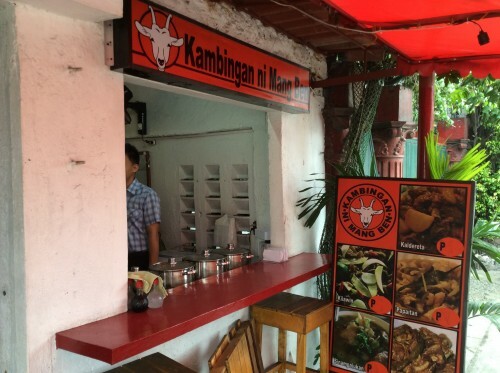 Try Vincent’s Place Kambingan near Malacanang in Manila City for the best-tasting kambing dishes!